The first White Castle restaurant opens, serving its signature hamburger sliders. Owner Walter Anderson is credited with the inventions of the hamburger bun and kitchen assembly line. Humpty Dumpty Barrel Drive-in restaurant owner Louis Ballast submits a trademark for his invention of the cheeseburger in Denver. You can visit a monument honoring the birthplace of the cheeseburger at 2776 N. Speer Blvd. McDonald’s switches from serving barbecue to hamburgers and uses the model created by White Castle. It will become the largest fast-food chain in the world. Americans get a taste of the first fastfood gimmick burger with the debut of the Burger King Whopper. Restaurants get creative with mixing textures and flavors. A&W boasts that owner Dale Mulder is responsible for the invention of the Bacon Cheeseburger. Paul Wenner pioneers his veggie-filled, meatless alternative to the traditional burger, “The Gardenburger.” Gardenburger Inc. then becomes the largest producer of meat-substitute burger patties in the country. Krusty the Clown’s famed restaurant, Krusty Burger, first appears in an episode of The Simpsons. Universal Studios opens a real-life version of the restaurant in 2013. “This is a tasty burger!” Samuel L. Jackson eats a Big Kahuna Burger in Pulp Fiction. Cult classic Harold & Kumar Go To White Castle is released. The pair of stoners embark on an adventure filled with marijuana-induced hijinks in an attempt to satisfy their late-night burger cravings. An Illinois ballpark begins selling the Luther Burger at ballgames. The burger, named after singer Luther Vandross, features an Angus patty, melted cheese, bacon, and two Krispy Kreme donuts. The 1,000-calorie meal is credited with increased ticket sales, game attendance, and, we’re guessing, cardiology patients. The ramen burger, consisting of a prime beef patty between two fried ramen buns, overthrows the cronut as Brooklyn’s trendiest meal. Dr. Mark Post debuts the first labgrown burger made from cow stem cells. 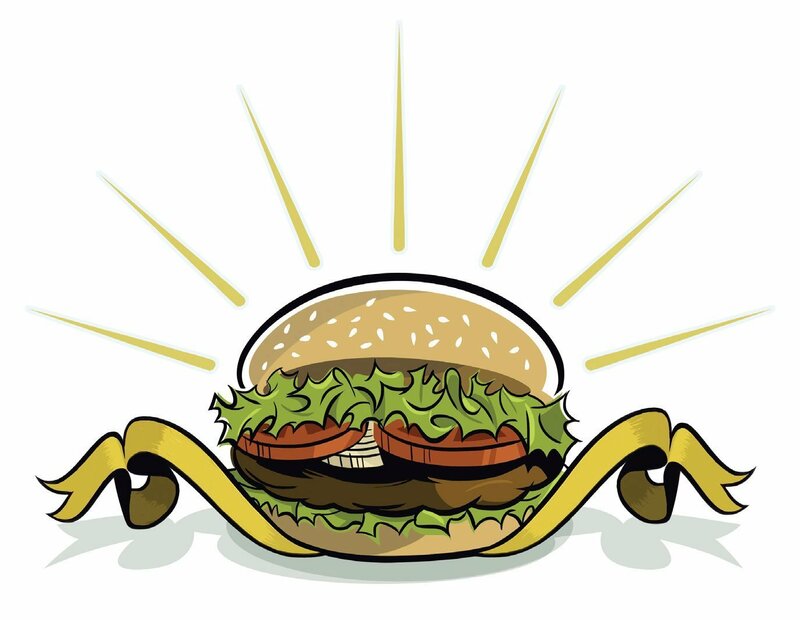 The burger originally cost $325,000 to produce but is expected to be available by 2021 for $5 dollars per pound. Controversy erupts as Google releases a cheeseburger emoji for the Android. Fans create side-by-side comparisons to criticize the incorrect placement of the cheese beneath the hamburger, while applauding competitor Apple for correctly putting the cheese on top of the patty. California-based chain In-N-Out Burger announces its expansion into Colorado Springs, with plans to open in 2020.